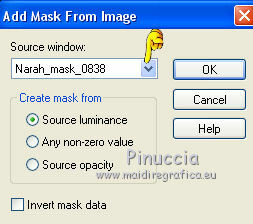 Open the mask in PSP et minimize it with the rest of the material. and your Background color to #7a99ac. 2. 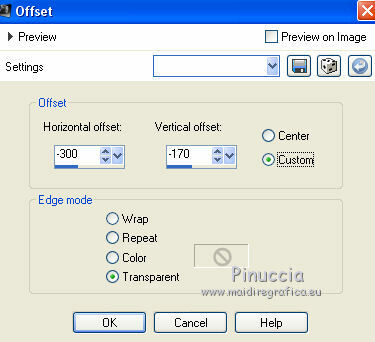 Open a new transparent image 900 x 650 pixels. 3. Effects>Plugins>Mehdi - Wavy Lab. 4. 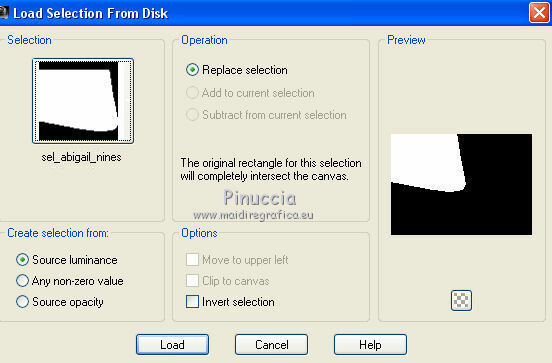 Selections>Load/Save selection>Load selection from disk. Look for and load the selection sel_abigail_nines. 5. Effects>Plugins>Carolaine and Sensibility - CS-LDots. 6. Selections>Promote selection to layer. 11. 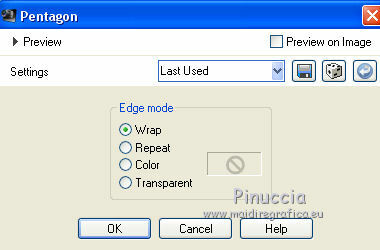 Open the tube Min@.Lady.excl.20.5.15 - Edit>Copy. 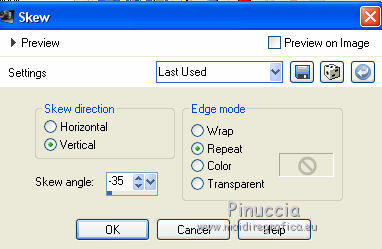 resize all layers not checked. 12. 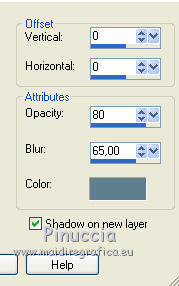 Effects>3D Effects>Drop Shadow, color #607f93, shadow on new layer checked. 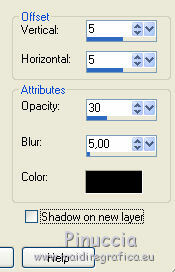 Change the blend mode of layer's shadow to Dissolve. 14. 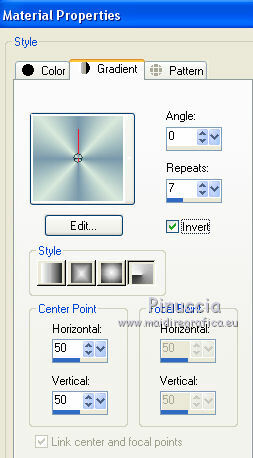 Effects>Plugins>AAA Frames - Foto Frame. 16. 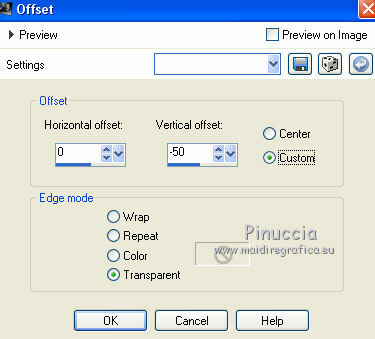 Image>Resize, 2 times to 50%, resize all layers not checked. 17. Effects>3D Effects>Drop Shadow, color #607f93. Repeat Drop Shadow, but vertical et horizontal -5. 18. 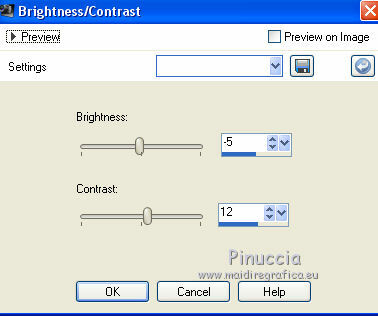 Adjust>Brightness and Contrast>Brightness and Contrast. 21. Activate the layer of the little left picture. 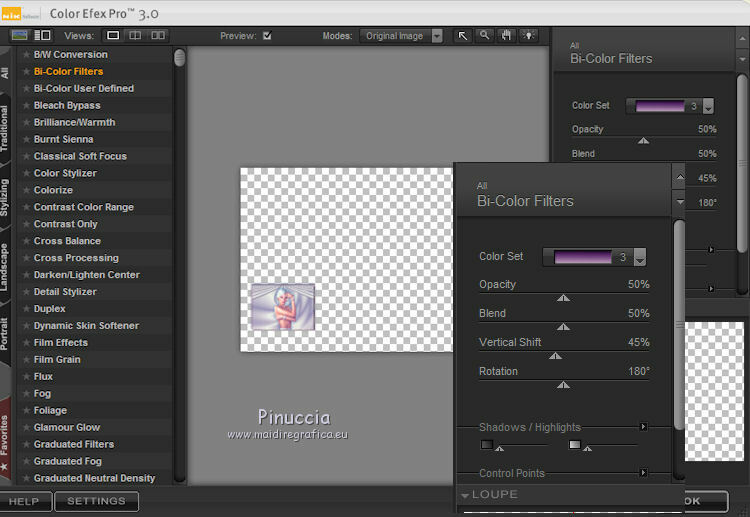 Bi-Color Filters - to the right Color set Violet/Pink 3. 33. Activate the layer of the little right picture. 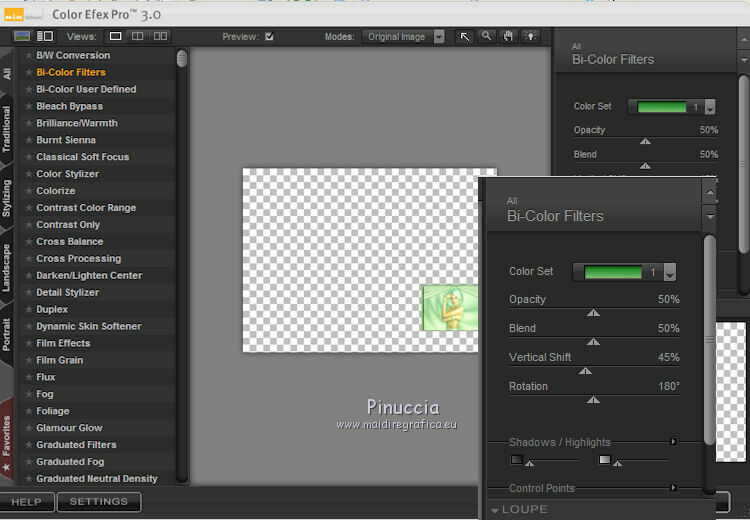 Bi-Color Filters - to the right Color set: Moss 1. Flood Fill the layer with your foreground color #d9e9dd. 25. 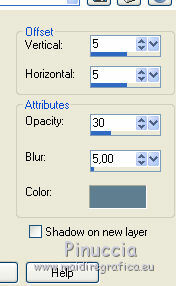 Image>Add borders, 20 pixels, symmetric, color white.